RELICS Art, Antiques and Things Unique from beautiful Manitou Beach will be at the Saskatoon Collector Show this weekend at Prairieland Park! 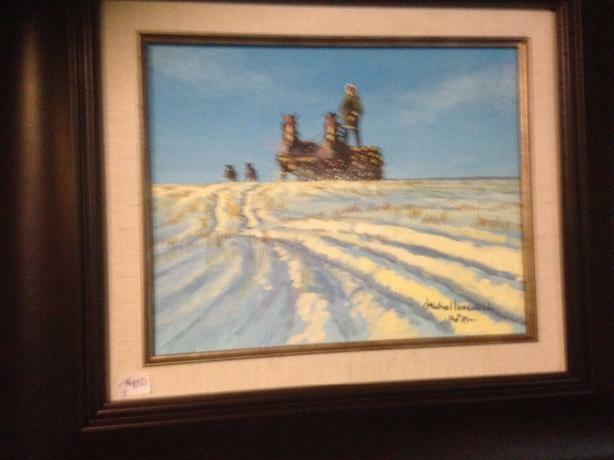 Lots of quality Saskatchewan art and antiques including an early hand carved folkart horse, paintings by Michael and Ken Lonechild, a circa 1811 needlework sampler and handmade ethnic rug. The Show runs 6-9 p.m. Friday, 9-6 Saturday and 9-4 Sunday. Worth the drive!